The children in this age group are introduced to the crucial stage in the educational process. The main objective at this stage is that your child develops the basic skills that would mould him/her to be a literate adult. The three R’s – Reading, wRiting, and aRithmetic are the foundations that will enable the child to read, write in a language and innumeracy – the ability to understand numbers and numerical concepts and use them effectively. The curriculum at this stage is delivered through the Litera Octave approach. The competency based curriculum encourages thinking, exploring, questioning and performing. This helps the children to go beyond the textbook. It does not stress on rote learning, but helps the concepts which lay the foundation for all future learning. The child starts to define himself/herself based on their attribute and achievements which pave their path seamlessly to the middle school. 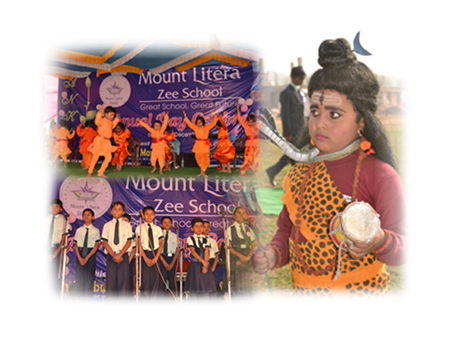 Copyright @ 2013 - 2014, Mount Litera Zee School Deoghar All rights reserved.